The recently completed Maple Street Correctional Center (MSCC) in Redwood City, CA, has been awarded LEED® (Leadership in Energy and Environmental Design) Gold CertificationTM from the Green Business Certification Inc. (GBCI®) as created and maintained by the U.S. Green Building Council (USGBC®). From the early stages of design and subsequent hiring of the Design-Builder’s, LEED Silver was the contract obligation with a wild stretch that LEED GOLD could be a target. Achieving a perfect score on the design points submitted over a year ago truly set us on a course towards achievement and raised the expectations. The credit due and sense of accomplishment is shared between the San Mateo Sheriff’s Office, HOK, SundtLayton, and each and every Design-Builder, Design Consultant, and contributing subcontractor. Innovation in design and regional priority credits LEED Gold ® is the second highest of four possible certifications and MSCC is one of very few county jails in the country to earn this level of certification. 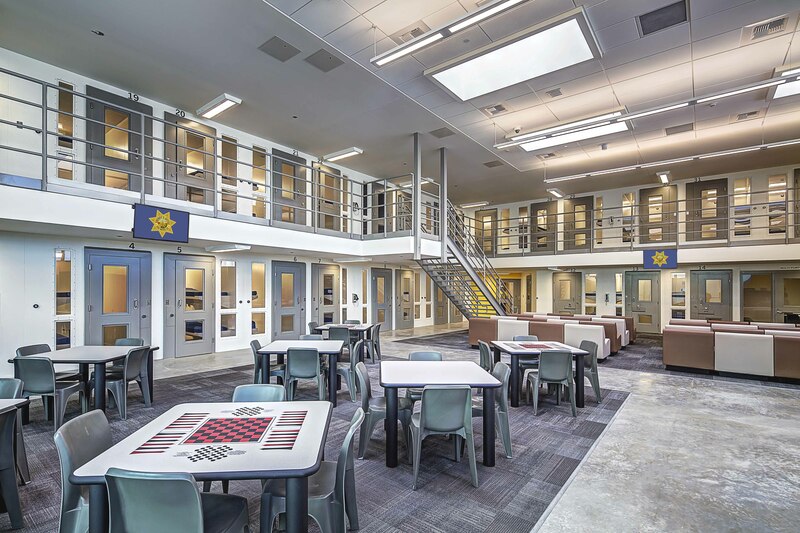 The 832-bed, 260,000-square-foot correctional center operated by the San Mateo County Sheriff’s Office was designed by HOK and built in concert with design-builders working under the direction of Sundt Layton, A Joint Venture, the facility’s general contractor and construction manager. The new building boasts significant reductions in a number of metrics, most significantly water use. Through the use of increased efficiency plumbing and recycled water available through Redwood City’s purple pipe system, the facility reduced indoor water use by 54% and cut potable water use for landscaping to zero. "Building sustainably was the right thing to do," said Dave Titus, Lieutenant, San Mateo County Sheriff's Office. "Not only have we ensured we have a safe and secure facility, this building's efficiency conserves natural resources and is a cost savings for the county."